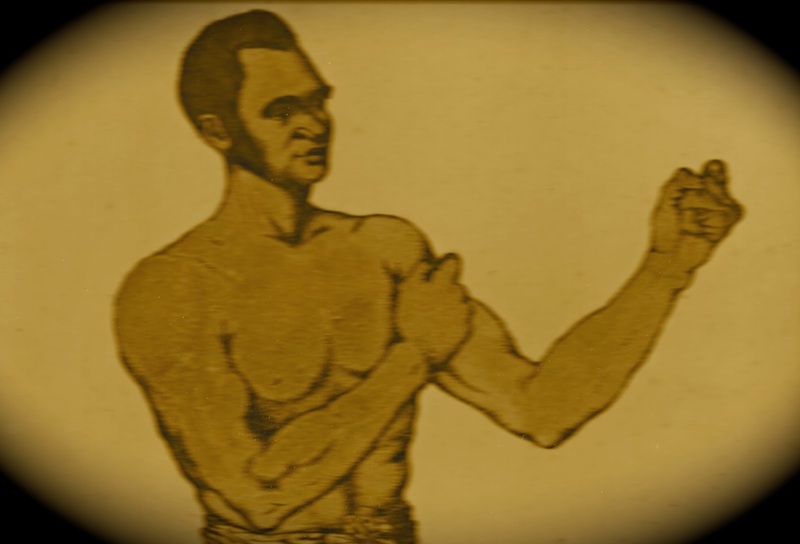 In-depth blog about former slave and boxing legend Bill Richmond (1763-1829); subject of Luke G. Williams' biography, published by Amberley in August 2015. Over the next few months I’ll be taking the time to review some of the books, articles and research facilities which I have found useful during the decade-long process of researching and writing Richmond Unchained. This series began with a look at Peter Fryer's Staying Power and continues today with my thoughts on Pierce Egan’s Boxiana. Pierce Egan’s Boxiana is the key text for any serious student of Georgian boxing and remains easily the best-known text connected with the bare-knuckle era. However, its iconic status within the pugilistic literary canon obscures an all too infrequently acknowledged shortcoming; namely that - as influential and brilliantly written as it is - in terms of a source for the facts, dates, circumstances and details of boxing matches of the period, some of what is written in Boxiana needs to be taken with a gigantic cellar of salt. It’s my contention that Egan was, first and foremost, a popular writer who was also a magnificent literary stylist. His prose crackles with inventive and extravagant examples of figurative language and vivid descriptive flourishes. Furthermore, in terms of the historical evolution of the English language and of English literature, Egan is a vital and all too often overlooked figure whose widespread influence can be detected in the work of many more traditionally feted and ‘well regarded’ writers such as Charles Dickens. Socio-cultural analysis of Egan’s idiosyncratic prose is an illuminating route to greater understanding not only of the sport of pugilism itself, but also of the culture which surrounded it. Anyone, for example, interested in emerging concepts of Englishness, patriotism and militarism during the Georgian era can find much of interest within Egan’s work. OK, now that we’ve all read Writing the Prizefight, I can proceed to the second strand of my review, which will examine the limitations of Boxiana. Firstly, it’s worth remembering that the first edition of the book was not published until 1812/ 1813. As a consequence any events that Egan covers prior to this date must be treated with extreme caution, unless, of course, they can be further verified by the existence of other sources. It is imperative to note that Egan himself was only born in 1772 and is said to have worked in the printing trade before making his name as a writer with the first volume of Boxiana. I therefore consider it highly unlikely that he would have attended the majority of the fights he writes about in the first volume of Boxiana, particularly those which took place in the 18th century, although, admittedly, there is no way of knowing exactly which fights he did and didn't attend. All of which begs the question: from where did Egan get his information? Well, it’s likely that some of his work was based on anecdotes he heard from fight fans and boxers themselves (hardly the most reliable of sources!) or that he cribbed details from existing reports in other newspapers and journals. There are certainly several occasions when Egan appears to have ‘lifted’ prose, ideas or details from The Sporting Magazine, which began to be published in 1792, as well as various other sources. (Could Egan have been present at some fights and written some of these original reports himself and then later recycled them in Boxiana? This is also a possibility). My point is: we don’t really know where Egan got his information from and this is why we cannot really take anything we read in Boxiana for granted. I'm sure that Egan wrote the most accurate accounts he could based on the information he possessed. Nevertheless, the haphazard nature of Boxiana's evolution and its lack of historical rigour means that we must be cautious about recycling facts from it without questioning their accuracy. Let’s take a practical example in order to illustrate this point: namely the Cribb-Belcher fight of April 1807. Over the years I have frequently seen it cited as ‘fact’ that during this contest Cribb’s second Bill Warr effectively ‘stole’ the fight for his man by way of a cunning ‘manoeuvre’ which ensured that Cribb received a ‘long count' to recover from a heavy knockdown. Bill Warr: cheat or strategist? When considering if Egan’s account of this incident is accurate, we should bear in mind the fact that the fight took place in 1807 and Egan’s account of it did not appear until more than five years later. Furthermore, like many of the bouts he describes, we can not necessarily be sure that Egan actually attended the fight in the first place. If Egan wasn’t present at Cribb-Belcher then it begs the question – again - as to where he got his account of this incident from. Was it recounted to him by Belcher himself, before his untimely death in 1811? Perhaps. In which case, is it not likely that the embittered former champion may have exaggerated his account somewhat in order to denigrate his rival Cribb’s reputation? Or perhaps Egan based his account on an anecdote he had heard from someone else who was present at the fight? Again, this seems feasible, in which case, once again, it is also seems reasonable to conclude that the account could easily have become exaggerated or embroidered in the years between the fight itself and Egan’s account of it being published. The Times, Stamford Mercury, Kentish Gazette, Morning Post, Salisbury and Winchester Journal, Exeter Flying Post, Morning Chronicle, Staffordshire Advertiser, Oxford Journal, Bury and Norwich Post, Norfolk Chronicle, Hampshire Chronicle, Bath Chronicle and Weekly Gazette, Derby Mercury, Hampshire Telegraph, Hereford Journal, and Ipswich Journal. My theory was that if the ‘long count’ incident described by Egan had occurred as he recounted it, then surely one of these newspapers would include it within their narrative? After all, one would expect a detailed account of a major fight to make careful note of such a controversial incident. However, close study of these 17 accounts revealed that not a single one made any reference whatsoever to Belcher being cheated, or shenanigans on the part of Cribb’s team. The same was true of William Oxberry’s book Pancratia, a history of boxing which marginally pre-dates Boxiana and also contains no reference to Belcher being cheated in its account of the fight. (Incidentally, Pancratia, like Boxiana, appears to draw heavily on the sources listed above, especially The Times). Closer scrutiny of the 17 accounts revealed that the majority were very similar in their wording, and had, it seemed, originated from a very small group of original sources or writers, before being re-published in various recycled and re-written forms. This account is almost identical to Egan's later account of the 18th round, and also very similar to Oxberry's, suggesting they may all originate from the same single source. 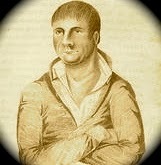 This also strengthens my belief that Egan predominantly used existing newspaper accounts as his sources, particularly in the first volume of Boxiana, while at the same time adding anecdotal information into his reports that he had gleaned from a mixture of fighters and fellow pugilistic enthusiasts. Taken as a whole, the series of sources we have concerning the Cribb-Belcher fight strongly suggest that Cribb was knocked down in the 18th round so heavily that many spectators thought the fight was over. If we accept this as fact, then Egan’s claim that Warr needed to wangle extra time for Cribb to recover seems plausible, nevertheless until at least one further source from 1807 emerges which further backs up Egan's claim, it remains an unproven and unsubstantiated rumour. However, despite its shaky provenance, numerous boxing books that describe the Cribb-Belcher fight do not make it clear that the cheating theory is just that: a theory, a rumour, an unsubstantiated anecdote. We cannot say with any certainty that Belcher was ‘cheated’ when this theory rests on just one account of the fight, and an account that was composed several years after the fight occurred to boot! This somewhat long-winded example is a very roundabout way of making the point that when researching Richmond Unchained I quickly realised that the contents of Boxiana had to be treated cautiously. Yes, Boxiana is a rich and fascinating source, as well as wonderfully written, but it must always be used in conjunction with as many other sources as possible. To a historian, I’m sure this is a pretty obvious conclusion, but I think it’s fair to say that not all boxing writers out there are adept historians. A deficit of rigorous historical research and methodology is certainly evident in many of the books that have been written about the bareknuckle boxing era, chief among them Ring Magazine founder Nat Fleischer’s utterly unreliable and borderline ridiculous Black Dynamite series (which I will examine in a future post). To conclude, a few general observations about Boxiana and its reliability as far as Bill Richmond is concerned (this is, after all, a Bill Richmond blog!). In terms of the first Cribb v Molineaux fight, for which Richmond trained Molineaux, Egan’s account leaves much room for interpretation, misinterpretation and debate (as do other sources). This is something I examine in detail in Richmond Unchained. Egan’s account of Richmond’s first fight, against George Maddox is flawed, and has been responsible for an incorrect conclusion (namely that the fight lasted only three rounds) entering into the public domain. Egan does not score well on American geography. His stated birthplace for Richmond of Cuckold’s Town in Sturton Island is wrong on many levels. Egan’s chronology of Richmond’s career in 1808 and 1809 is all over the place – which has again led to misperceptions becoming commonly accepted as fact. To close, I think it’s worth emphasising that none of the above alters my admiration for Egan in any way. I remain a huge fan of his energy, his invention and his incredible facility with words. Reading Egan is one of the great pleasures of life, particular for a boxing fan. However, he was primarily a dramatic and vivid writer, not a historian – and that’s something to always bear in mind when you leaf through Boxiana. Bannerizer makes it easy for you to promote ClickBank products using banners, simply visit Bannerizer, and get the banner codes for your chosen ClickBank products or use the Universal ClickBank Banner Rotator Tool to promote all of the available ClickBank products.